And yes, it's basically red cocoa cake (with an interesting history), but the thing that sets it apart from the typical chocolate pastry is the cream cheese frosting. Yum! Now, when they try to come out with something "red velvet" flavored/inspired, I'm always curious because how can they make something taste like red velvet...and not chocolate? Here are some red velvet things I've tried lately, and mini reviews on how they've lived up to the original. These were given out at the Two Point Oh LA Snowball. I was a little bewildered at first because it looks like a lollipop but is made of...cake? And that's exactly what it is. 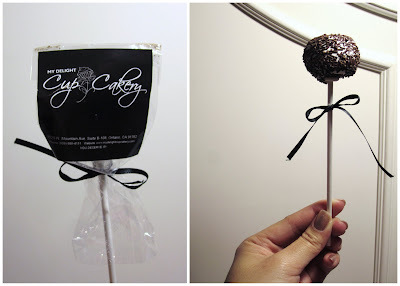 A cake pop. It's just an even smaller version of a cupcake, but on a stick. These were really good, and I just wish they were bigger (like...the size of a cupcake?). The cake was almost like a brownie--dense, but moist. The frosting wasn't cream cheese though, just vanilla. Overall though, it tasted like a typical red velvet cake. Tastes like liquid cake! Try it in the hot cocoa form too. I can't say it tasted like red velvet cake, but it's definitely delicious (and comes in a pretty shade of pink). It's not as chocolate-y as a mocha or chocolate-flavored drink, but really sweet. Too bad it's only available during the holidays! I can honestly say that I was the most skeptical about this one. I mean...red velvet...chocolate milk? What? But it turned out to be surprisingly good. 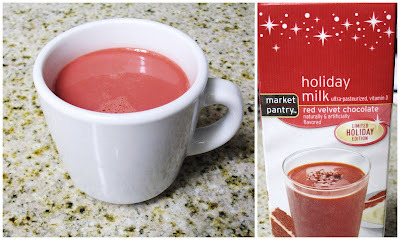 It didn't taste like red velvet, really...just regular chocolate milk, but red and a little sweeter (which wasn't a bad thing). I topped mine with whipped cream, sprinkles, and a mini candy cane just to make it cuter. The cool thing about it though is that you can drink it cold or hot, so if you can't make it to Coffee Bean, you can just buy a carton of this and have some at home! It's cheaper in the long run too--got it for less than $4 at Target. 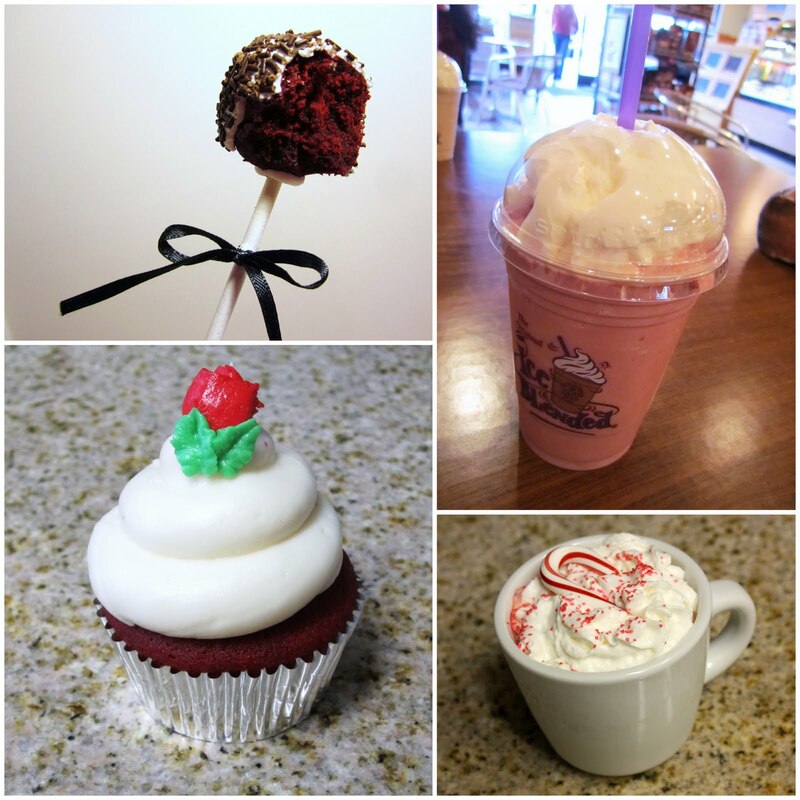 And for those of you who prefer the original, Kupcake Kitchen, Crumbs, and Nadia Cakes all make amazing red velvet cupcakes!